Try driving a car or motorhome with the seat pointing the wrong way – hopefully not and hopefully any potential thief would think the same. 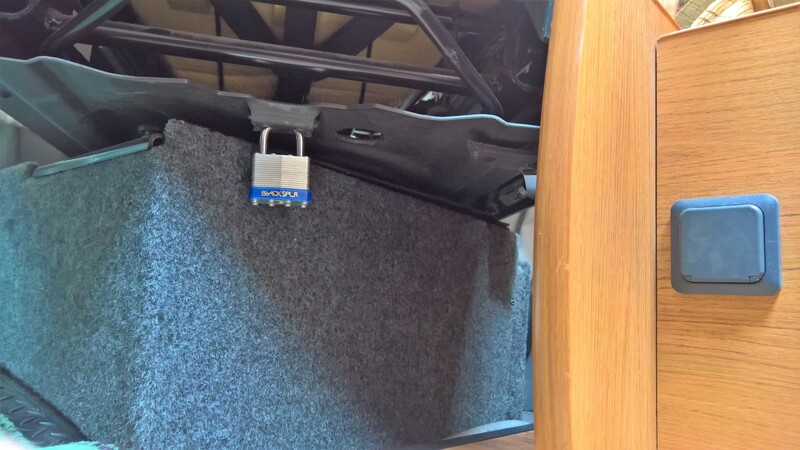 The Peugeot Boxer has a lug ideally suited for a padlock that will jam against the seat frame preventing it pointing in the forward direction for driving. Worth a try for the price of a padlock.